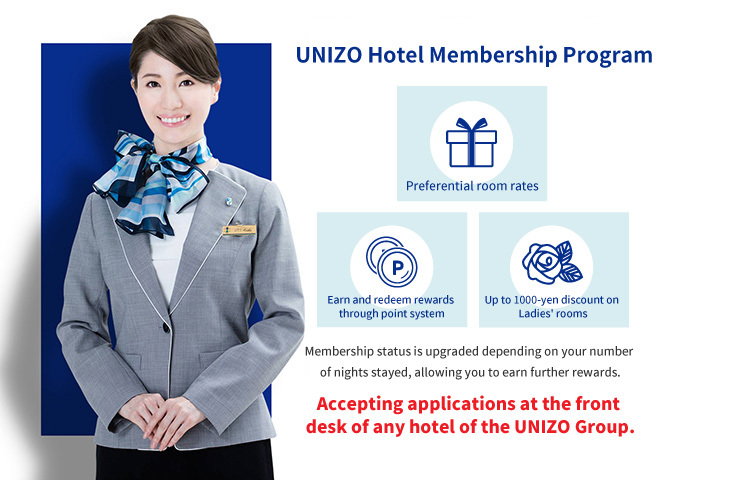 Affordable urban hotels with suitable amenities. 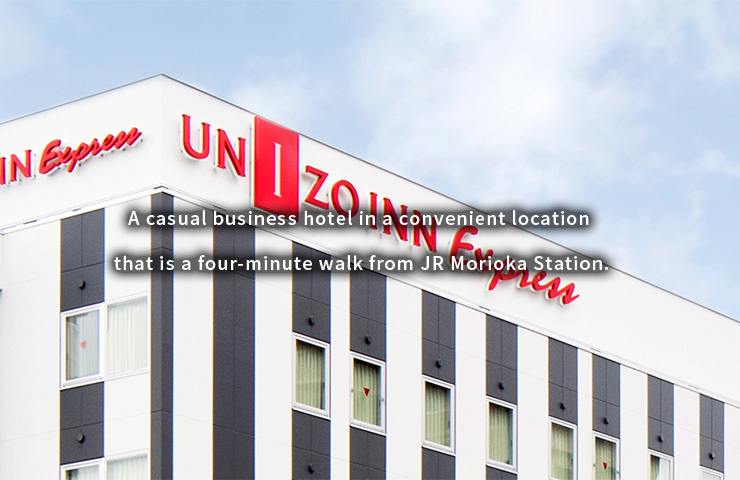 A 3-minute walk from the West Exit of JR Morioka Station, the Center of Iwate Prefecture. Excellent access whatever the purpose of your stay. 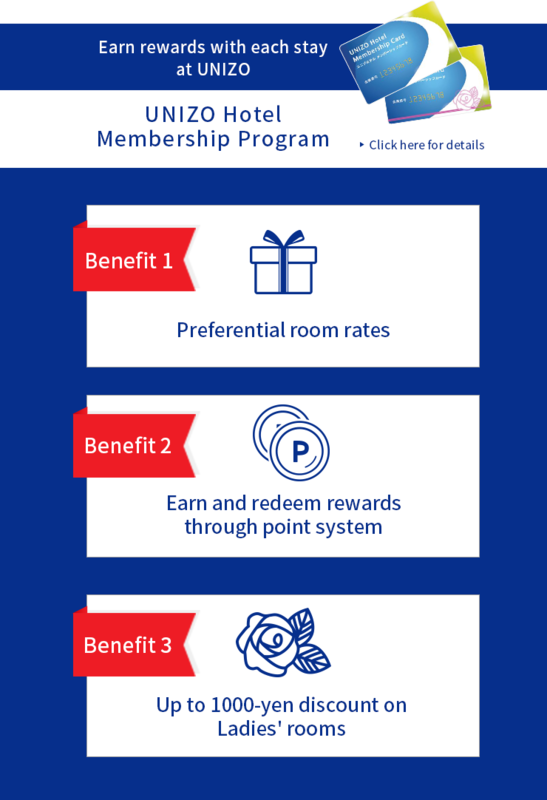 Clean guestrooms include a bed made by a leading manufacturer, heating/cooling systems that allow temperature setting per room, and other features. Coin laundry machines are available to guests 24 hours a day. Kindly note that the restaurant's opening hours are subject to change without prior notice. 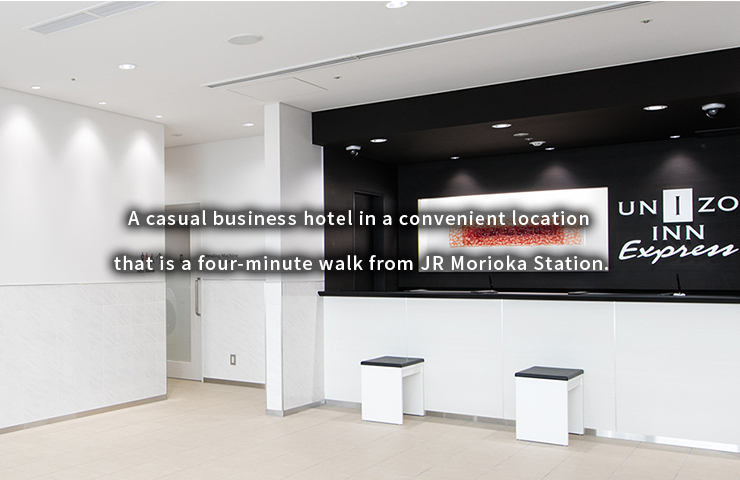 Please check with the hotel front desk to inquire. 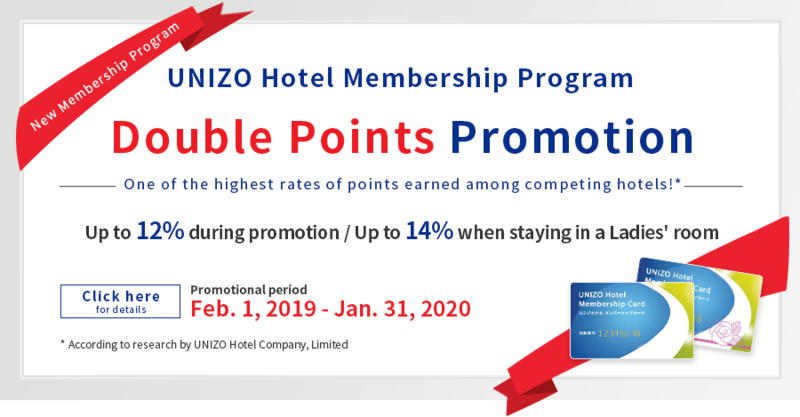 © UNIZO Hotel Company, Limited All Rights Reserved.